The house at Dangar Island overlooks the Hawkesbury River through the tops of native angophoras. 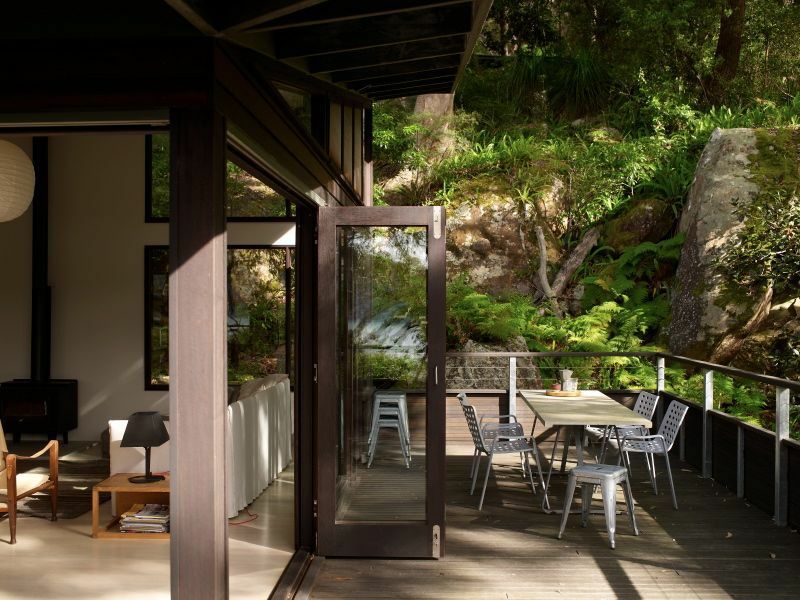 The house was designed by Robertson & Hindmarsh Architects and is situated to maximize sunlight both internally and on the wide deck overlooking the view. The house has been widely featured in interiors magazines and architecture books, including British Elle Decoration. There are three bedrooms: two with queen-sized beds and great views, and one with twin beds. The generous living/kitchen/dining space is open-plan and beautifully decorated in a mix of timber and linen with designer furniture mixed with key vintage pieces. There are two bathrooms, both with showers and louvered windows to the outdoors.